The worldwide IT security market delivered strong revenue growth again in 2Q15, with pure-play vendors expected to race ahead of multiline rivals in revenue growth. 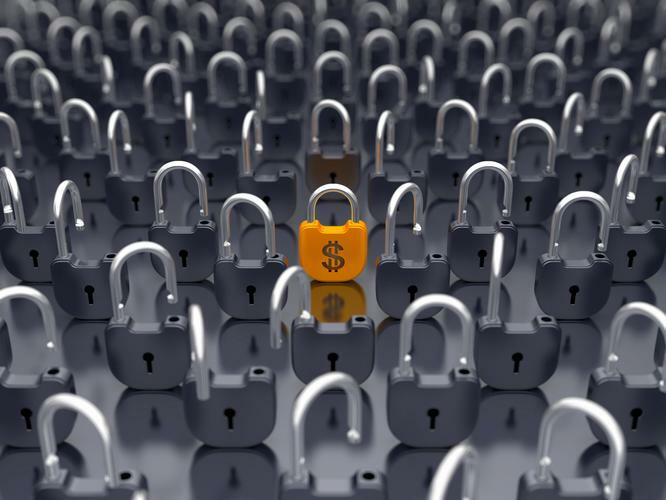 According to Technology Business Research, the 19 vendors included in the study generated 17.4 percent year-to-year growth in enterprise (non-consumer) security revenue. Delving deeper, pure-play security vendors outpaced multiline vendors in enterprise security revenue growth. “Accessing the newest security technologies is very important to customers right now, as they are faced with the threat of increasing cyberattacks,” says Jane Wright, Senior analyst and Security research lead, TBR. On average, the nine multiline vendors included in TBR’s Enterprise Security Benchmark achieved five percent year-to-year enterprise security revenue growth in 2Q15. Many multiline vendors earned strong enterprise security revenues by assembling broad security portfolios and attaching security solutions to multifaceted deals. 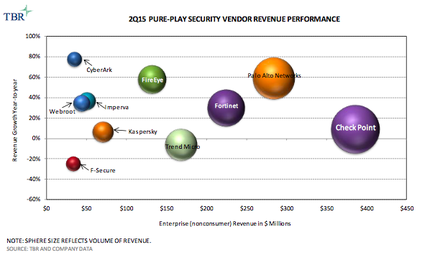 But pure-play security vendors delivered much higher revenue growth from their laser focus on security products and services. On average, the 10 pure-play security vendors covered in TBR’s Enterprise Security Benchmark achieved 28 percent year-to-year growth in the quarter. CyberArk, Palo Alto Networks and FireEye, in particular, generated strong growth rates by delivering new technologies in fast-growing security segments such as identity and access management (IAM), advanced threat detection on endpoints and network security incident response. Vendors covered in TBR’s Enterprise Security Benchmark include Check Point, Cisco, CyberArk, Dell (including SecureWorks), F-Secure, FireEye, Fortinet, HP, Huawei, Kaspersky, IBM, Imperva, Intel, Juniper Networks, Palo Alto Networks, RSA (a division of EMC), Symantec, Trend Micro and Webroot.